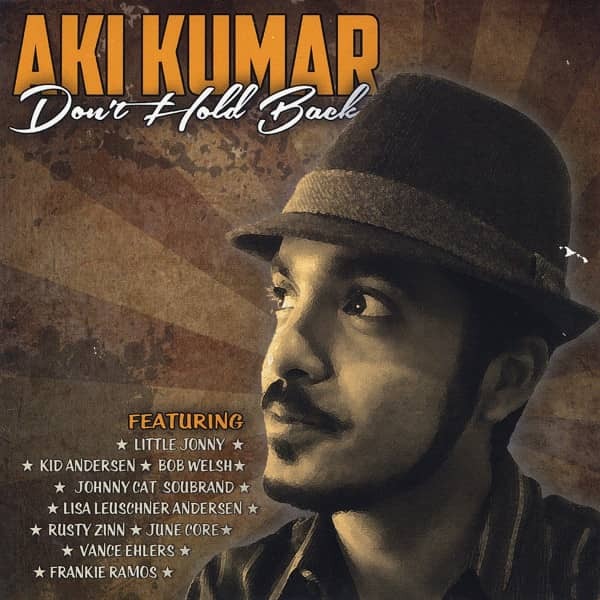 Dynamic frontman & harp player Aki Kumar is a rising star among the next generation of SF Bay Area blues artists. A master of the amplified Chicago blues sound, Kumar inherits his style from the harp legends of the 1950s and 60s. Aki has a unique voice in the blues, blending elements of blues harmonica pioneers of yesteryear with a signature sound of his own. Born and raised in Bombay - India, Kumar established his mark on the West Coast blues scene starting in 2009 as frontman of the SF Bay Area's highly acclaimed blues outfit Tip of the Top. His latest venture, The Aki Kumar Blues Band, involves several Bay Area blues luminaries and has been the culmination of his journey through American roots music. The band performs vintage blues with tremendous skill and energy and is guaranteed to entertain audiences across all venues, from intimate listening rooms to large festivals. When not performing under his own name, Aki Kumar can also be found working with the heavy-hittin' blues band, Little Jonny and The Giants. Kundenbewertungen für "Don't Hold Back"